A Saturday a looong time ago now, Caroline and I met up for dinner in Chelsea. We hadn’t booked anywhere but wanted Japanese and when we tried Kurobuta they luckily had space for us at the communal table. I’d only been to Kurobuta once before this, when it was still a pop-up at a different location on the Kings Road, but the permanent space is so much better. The ambiance feels more restaurant-y and the food is just as good – if not even better! 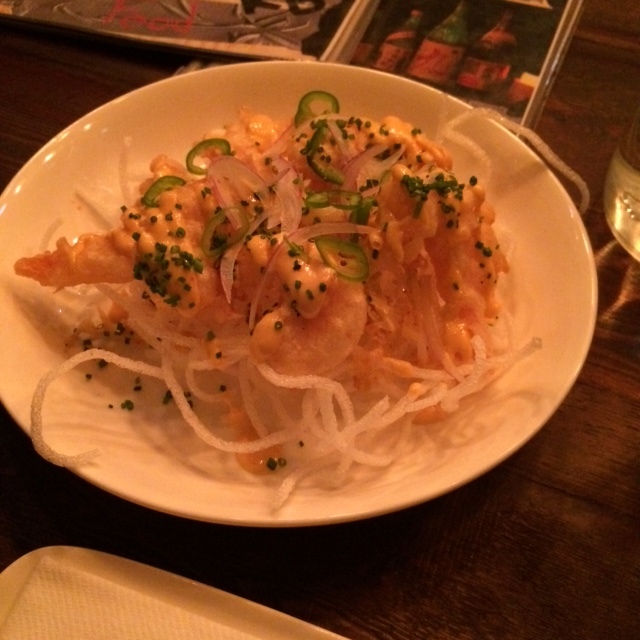 A group at our communal table were eating the tempura prawns when we arrived, they looked really good so it was the first thing we ordered. They were nice and crispy on the outside but the prawn within was still nice and juicy and the onions and chilli worked well with the prawns and the delicious mayo. The fried white shreds underneath the prawns were not that nice, but at least it looked nice! 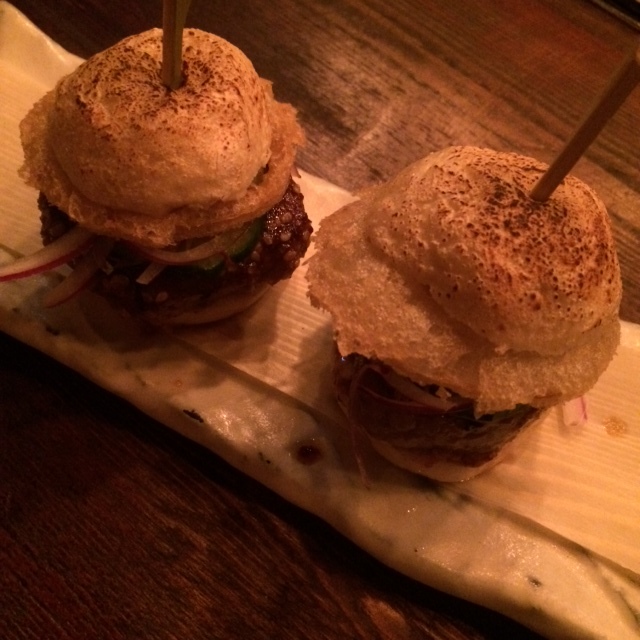 Our next dish was these a-ma-zing wagyu beef sliders with steamed buns, crispy onion, pickled cucumber and umami mayo. Sooo good and my favourite dish this evening! 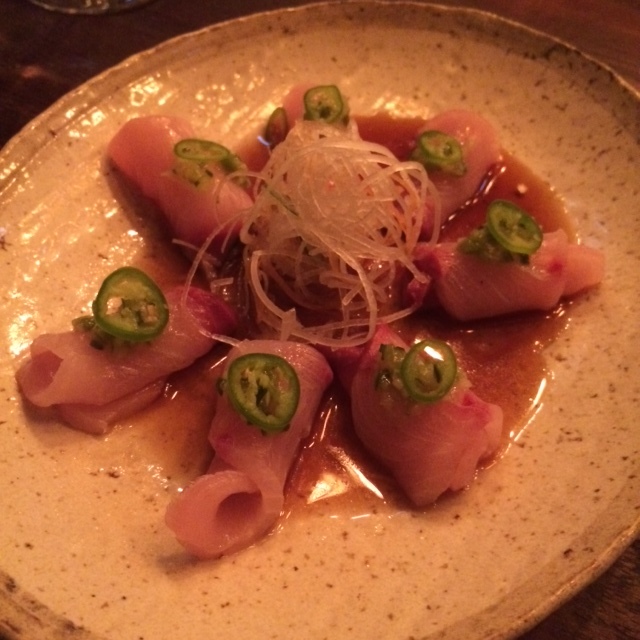 The wellowtail sashimi was nice but a little too wet for my liking as it was resting in a pool of yuzu and soy. 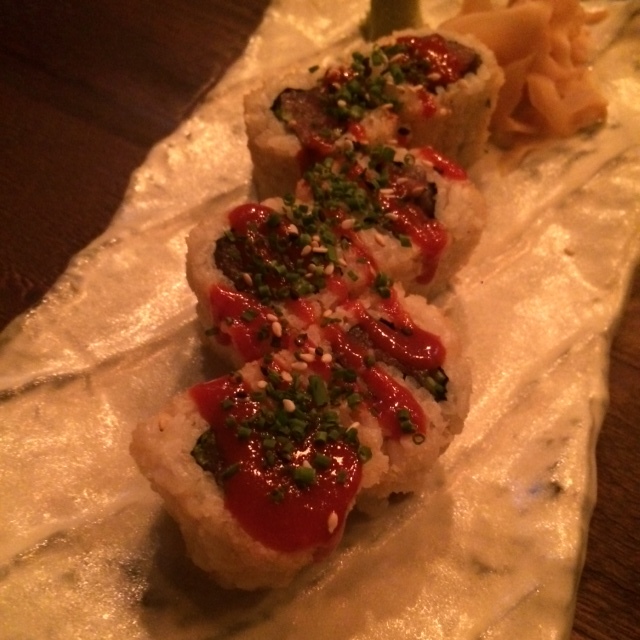 Also the maki roll with spicy tuna was a bit of a let down. It was lacking a bit in flavour and all the spice came from the sauce on top, not from the roll itself.. 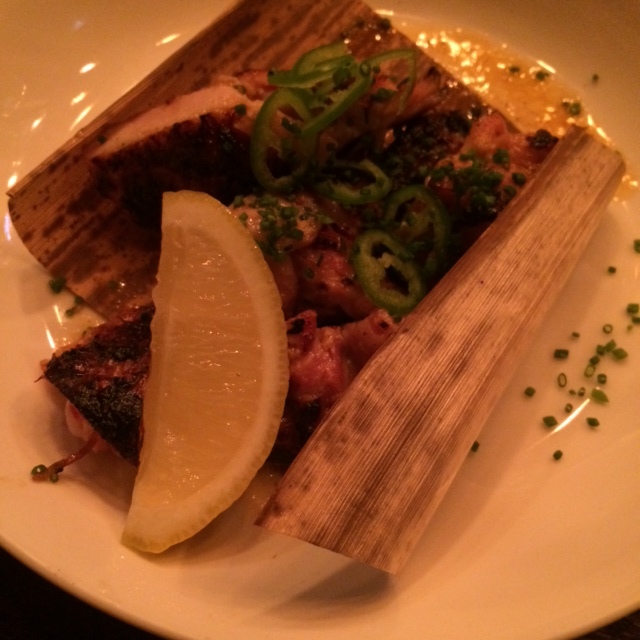 But we absolutely loved the grilled miso chicken! Nice charred flavour from the grill and it was perfectly cooked. Despite not finding all the dishes perfect, I do really enjoy coming here. The food is always good and some dishes are excellent. And compared tp many other restaurants offering Japanese small dishes or Asian fusion this is one of the better! Just promise me you try the Wagyu slider, and you’ll see what I mean!